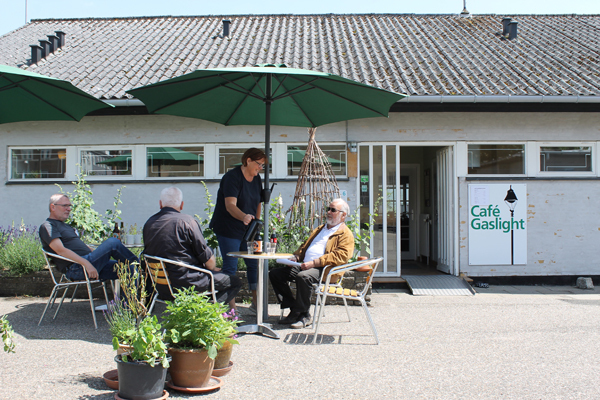 The museum's Café Gaslight is named after the former gasworks in Horsens, which - with its large tanks - was located where the Café Gaslight is now located. In the café you may during your visit to the museum enjoy a coffee break or a lunch, just like the ones your granny made. At groups of more than 8 persons, please inform in advance so that the café can be ready to serve you. The café is open every day from 11:00 a.m. to 3:30 p.m. It is also possible to hold events in Café Gaslight with meals for up to 40 persons. You may for example plan your next birthday, company outing or business meeting in the pleasant surroundings of the café. Contact Jane Gønge Nielsen at Café Gaslight to hear more about the current menu or about the possibilities for your event.